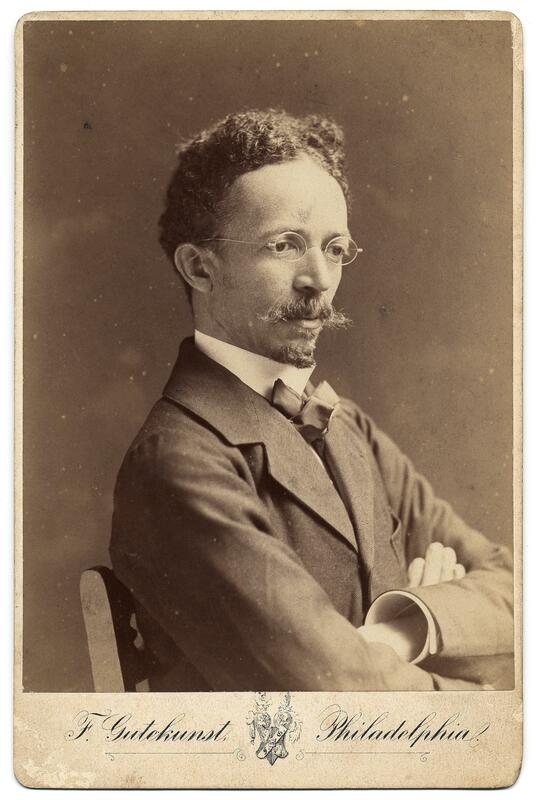 Henry Ossawa Tanner (June 21, 1859 – May 25, 1937) was an African American artist best known for his style of painting. He was the first African American painter to gain international acclaim. In 1879 Tanner enrolled at the Pennsylvania Academy of the Fine Arts in Philadelphia Tanner’s non-confrontational personality and preference for subtle expression in his work seem to belie his difficulties, but his life was not without struggle. Although he gained confidence as an artist and began to sell his work, racism was a prevalent condition in Philadelphia, as massive numbers of African Americans left the rural South and settled in Northern urban centers.Tanner left for France in 1891. Tanner traveled to France in 1891, to the Académie Julian, and joined the American Art Students Club of Paris. Paris was a welcome escape for Tanner; within French art circles the issue of race mattered little. Tanner acclimated quickly to Parisian life. 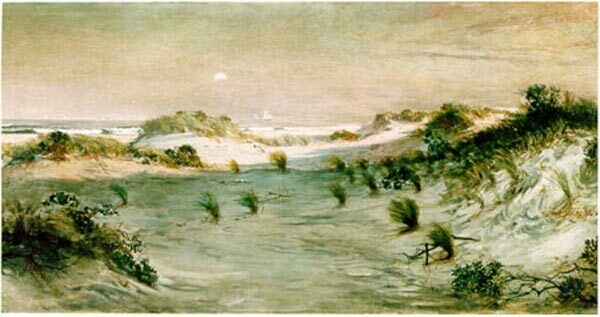 His painting Sand Dunes at Sunset, Atlantic City is the first painting by an African American acquired by the White House for its permanent collection under the Clinton administration. The painting is considered one of Henry Tanner’s largest, most artistically ambitious and most beautiful pure landscapes . In 1893 Tanner painted his most famous work, The Banjo Lesson painted in Philadelphia. 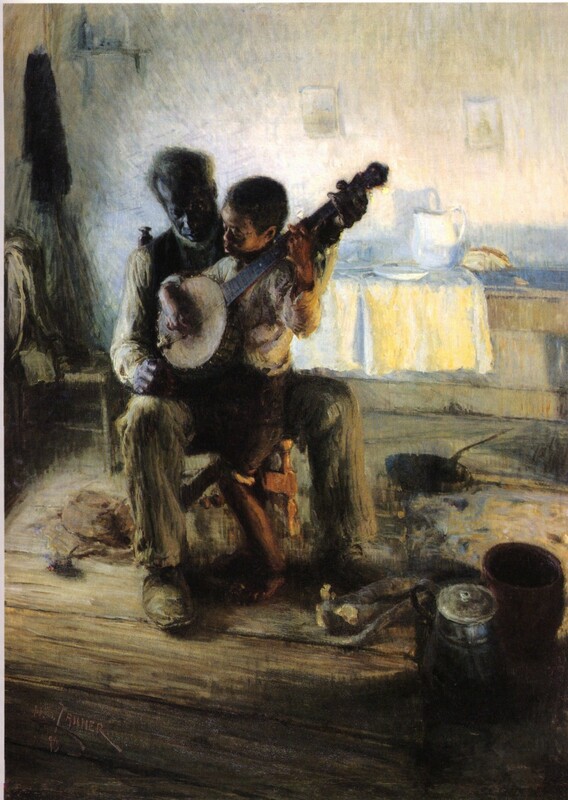 The painting shows an elderly black man teaching what is assumed to be his grandson how to play the banjo. This deceptively simple-looking work explores several important themes. Blacks had long been stereotyped as entertainers in American culture, and the image of a black man playing the banjo appears throughout American art of the late 19th century. Thomas Worth, Willy Miller, Walter M. Dunk, Eastman Johnson and Tanner’s own teacher Thomas Eakins had tackled the subject in their artwork. These images however are often reduced to a minstrel type portrayal. Tanner works against this familiar stereotype by producing a sensitive reinterpretation. Instead of a generalization the painting portrays a specific moment of human interaction. The two characters concentrate intently on the task before them. They seem to be oblivious to the rest of the world which magnifies the sense of real contact and cooperation. Skillfully painted portraits of the individuals make it obvious that these are real people and not types. Hampton University’s 1894 acquisition of two paintings by Henry O. Tanner, it established the world’s first collection of African American art. One of these paintings, The Banjo Lesson, is acknowledged as the most admired work by an African American artist.. The acquisition of this piece made it the Today the collection numbers over 1,500 pieces and is one of the largest and strongest collections of African American art in the world. Next Next post: In defense of children….